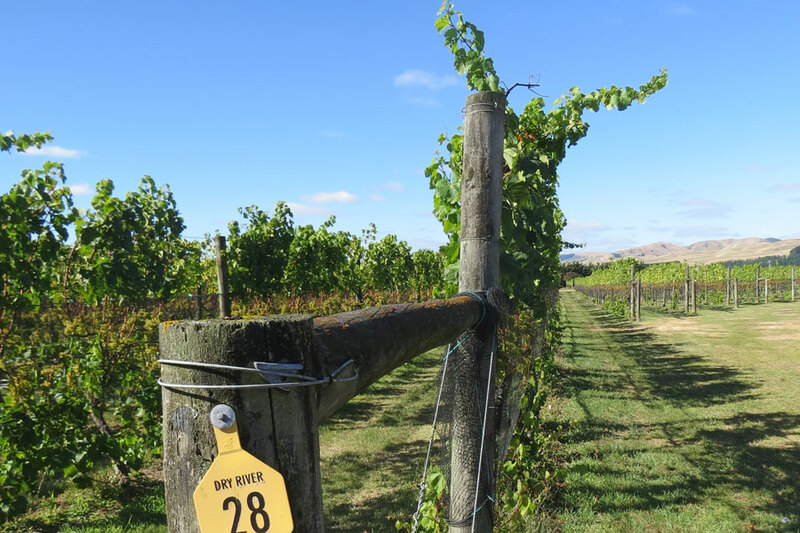 Join expert tour guide and wine writer, Phil Parker on a relaxed New Zealand wine & food adventure to sample Gold Medal wines and explore Auckland’s ravishing rural wine regions. ‘Recommended’ by Frommers, Lonely Planet, Rough Guides & Fodor’s. Limited numbers (maximum of six persons) ensure a memorable personal experience. Three premium Kumeu region winery tastings. Enjoy lunch at Orchard Cafe, plus sightseeing of rolling farmland and breathtaking West Coast Muriwai ‘black sand’ beach. All included: complimentary cheese board to accompany wine tastings, tasting and entry fees, a la carte café lunch, detailed wine tasting notes, mineral water, information pack per guest and free hotel pick-up/drop-off (inner city) in climate controlled 9-seater coach. Sample a premium cheese board of NZ’s finest cheeses such as Puhoi and Galaxy while taking in a leisurely ‘West Auckland Wine Tour’, including 3 premium Auckland winery tastings, a superb country café lunch, plus ‘black sand’ West Coast beach sightseeing. All included: tasting and entry fees, a la carte café lunch, detailed wine tasting notes, cheese board, mineral water, and information pack per guest. 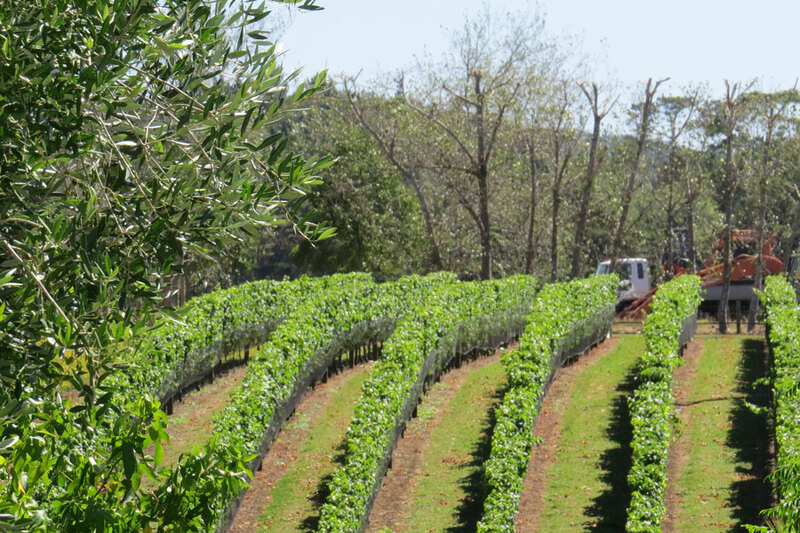 A full day of fantastic wine, food and stunning coastal scenery. Visit four selected wineries from the historic Kumeu wine region, just 20 minutes from downtown Auckland. Includes a premium cheese board and superb main course vineyard restaurant lunch including a glass of wine, coffee/tea etc in the heart of Kumeu’s green wine country. Plus stunning West Coast countryside and ‘black sand beach’ scenery. Free door-to-door service from Inner City in a climate controlled 7-seater coach. 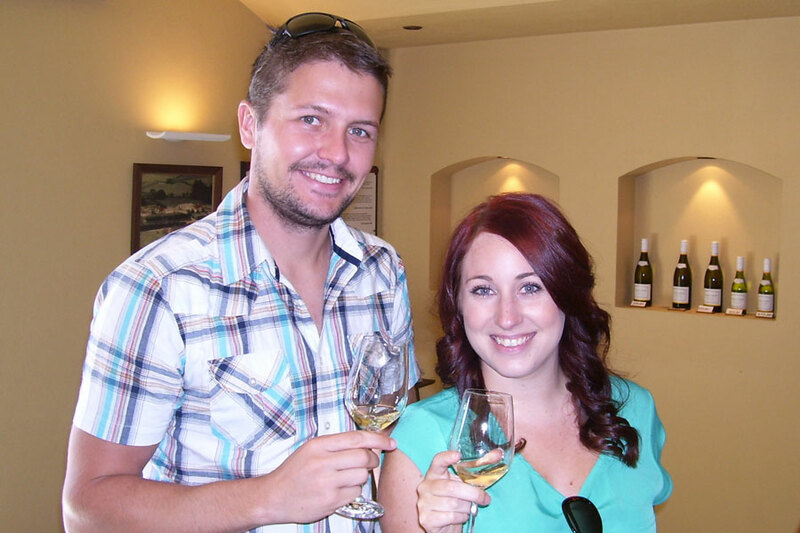 All included: lunch, entry fees, wine and cheese tastings, plus detailed tasting notes and complimentary mineral water. No added fees or costs. Duration – Approx 6 hours. The ultimate gourmet’s food and wine ‘foodie’ day tour in Auckland. Auckland’s diverse and vibrant ethnic mix offers you an incredible range of fantastic food. This tour will allow you to sample the best of it, from coffee and French pastries to handmade chocolates, fine imported foods, and local artisan cheeses matched with local wines. Rosie’s Cafe in trendy Parnell – stop for a coffee and a superb French sweet treat. Sabato Fine Foods – a hidden gem for food fans in the know, with imported fine foods from Spain, France and Italy to browse and sample. 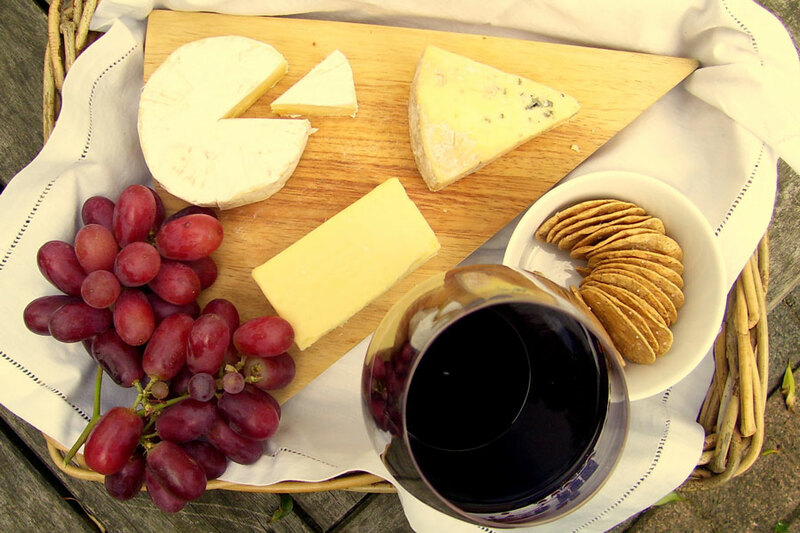 Travel west to through rolling green countryside to picturesque West Brook winery for a wine tasting matched with a superb NZ cheese board. Lunch at renowned Soljans vineyard Restaurant. Two course with glass of wine, plus dessert and tea/coffee /soda. Also wine sampling including their famous tawny port. Finally – visit renowned Borich Orchard Markets store for fresh fruit & vegetables and fine foods and let Phil treat you to our famous NZ ice cream! All included: main course lunch, entry fees, tasting fees, wine tastings, plus detailed tasting notes and complimentary mineral water. New Zealand’s most prestigious and stunningly beautiful boutique wine region. A maritime microclimate allows Bordeaux and Rhone style reds to flourish, as well as Chardonnay and Pinot Gris. A day not to be missed if you are visiting Auckland. Three winery tastings plus olive oil sampling. Plus shop and art gallery browsing – if time allows. Also a chance to experience a unique guided food and wine matching. Superb main course lunch with wine, tea/coffee, Scenic boutique region Waiheke Island Wine Tour – two to four guests (larger groups and discounts on enquiry). 2 Guests NZD$359 per person – 9.30 am – 4.45 pm. Includes superb fine dining main course lunch, all Waiheke Island transport, three winery tastings – and more. 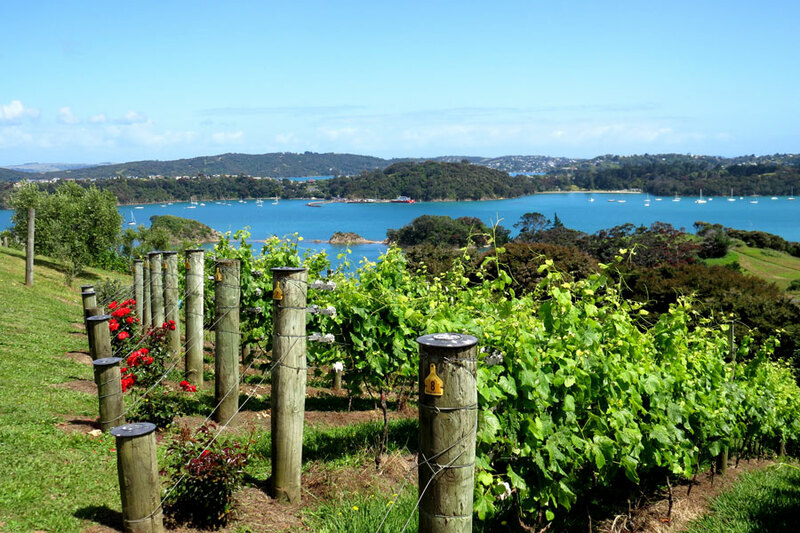 A stunning and memorable Full Day Waiheke wine tour. Very exclusive, small number tours (with a maximum of 4 persons), for the truly discerning New Zealand wine fan. 5-Star Main course fine dining lunch with wine at renowned Cable Bay or Mud Brick. No hidden costs or fees – ONE FEE covers the whole tour: Waiheke Island transport, notes, lunch and winery tasting fees. Superb main course fine dining ‘open menu’ lunch at Cable Bay or Mud Brickwith glass of wine, plus tea/coffee etc. Visit at least 3 Waiheke wineries from: Peacock Sky, Cable Bay, Mud Brick, and Kennedy Point vineyards. Guided tastings of their premium Waiheke wines. Unique food and wine matching at Peacock Sky winery – exquisite morsels, prepared daily and matched with a variety of wines. Breath-taking harbour, Hauraki Gulf and Waiheke Island views. Souvenir shopping and art galleries in Oneroa Village, if time allows. All included: Entry & tasting fees, lunch with wine, tea/coffee and car transport on Waiheke Island. Visit the colonial settlement of Puhoi, enjoy stunning coastal scenery, and sample wines and chocolates on this fantastic excursion. Journey 30 minutes north over the Harbour Bridge to Puhoi to start your day, and stop for a coffee and snack at the colonial era pub that dates back to 1879. Then enjoy the Pacific coast scenery on the drive to the Matakana boutique wine region, where you will visit three family wineries and sample award-winning wines. Pause for lunch at a vineyard restaurant, and finally visit a famous Warkworth’s chocolate boutique. Superb ‘open menu’ two course vineyard restaurant lunch at Plume Restaurant in rural Matakana, with wine, coffee etc. Guided tastings of their premium wines. 4 hours to 8 hours – depending on your tour option. 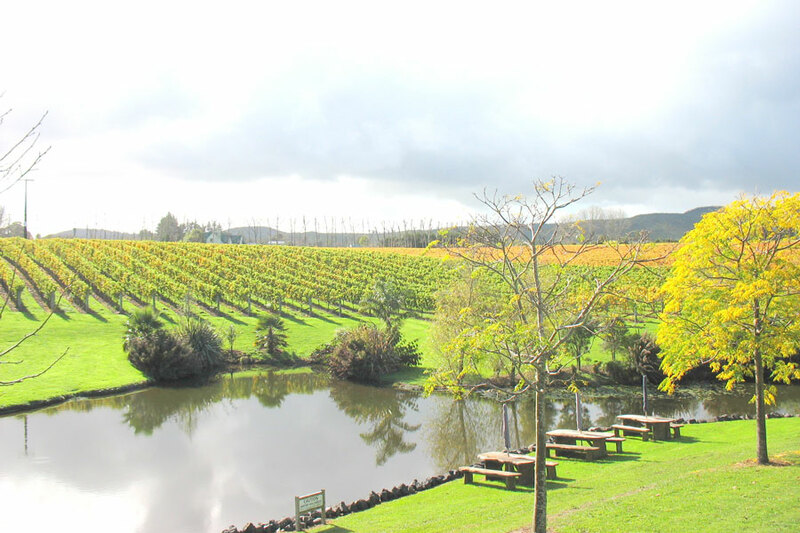 Tours take place throughout the wine regions around Auckland.